Truk (or Chuuk) Lagoon is considered one of the top dive destinations for wreck divers. This lagoon was used as a Japanese naval base in WWII. There are more than 48 wrecks dive sites to explore. It is considered a mecca for wreck divers. The waters are temperate ( 78-86 degrees F) throughout the year and rather deep down to 330 ft. As with the rest of Micronesia you can dive year-round. However, the best dive seasons are from December through April, during the dry season. Liveaboards to Chuuk (Truk) Lagoon will have countless wrecks to choose from. The Truk lagoon was once referred to as the “Ghost fleet of Truk lagoon” as many thought the souls of the 3000 people who died here were haunting the area and it definitely adds to the eerie but impressive feeling of the dives. Along with the wrecks themselves, many of their cargo holds were completely filled, so you will see things ranging from tanks, to bulldozers, motorcycles, boxes of ammunition, weapons and even smaller things such as cutlery and other personal belongings. After so many years of being submerged, they have all created their own little marine ecosystems with sponges and corals growing left, right and centre. You will not be the only ones swimming around this area as Grey reef sharks are often spotted here. Along with them, multiple other marine species are spotted from time to time including stingrays, eagle rays, turtles, jellyfish and schools of colourful, tropical fish. 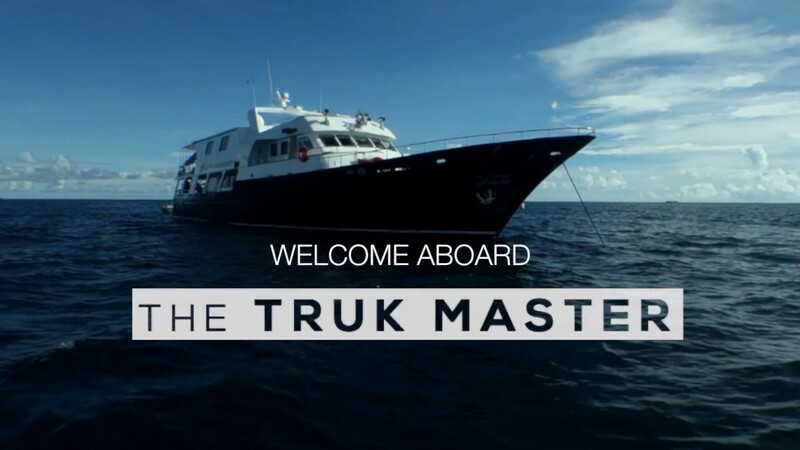 Watch the following video for a glimpse of diving Truk aboard the Truk MAster liveaboard.